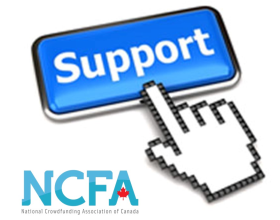 On behalf of the National Crowdfunding Association of Canada (NCFA), its members and affiliates, we would like to highlight the urgent need for governments and regulators to actively promote the growth and development of Canada’s nascent peer-to-peer marketplace lending (P2P Lending) industry to unlock potential benefits for borrowers and investors. P2P lending is an online method of debt financing that enables investors to lend varying sums of money to small business and individual borrowers. P2P lending transactions are cost-effective for borrowers and profitable investment opportunities for retail lenders. Institutional investors may also lend money over P2P platforms alongside retail investors. Many alternative lenders in Canada leverage the assets of a bank or fund (a financial intermediary) and lend those funds out to borrowers to create a better borrowing experience. P2P technology platforms match borrowers and lenders directly and provide a streamlined user experience, transparent financials and due diligence, and work to reduce friction and costs of the lending process typical of brick and mortar financial institutions. 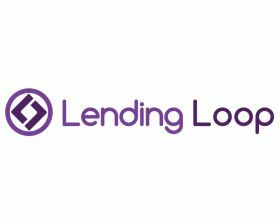 Leading-edge predictive data analytics enable P2P lenders to more accurately gauge the repayment potential of borrowers. Small and medium sized businesses (SMEs) are the backbone of the Canadian economy and employ 90 per cent of Canadians working in the private sector and produce approx. 30 per cent of the country's GDP (Innovation, Science and Economic Development, August 2013, Key Small Business Statistics). Access to cost effective financing powers business growth and is a strong economic generator for start-ups and SMEs who need capital and investors to fuel innovation, create jobs and compete on a the global stage. Many small businesses (and consumers) are rejected by traditional financial institutions when seeking financing because they do not fit rigid lending requirements of banks. Too often, this means their only recourse is to source funds from alternative or private lenders who charge rates well in excess of 20 per cent. As proven in 2008, the democratic nature of P2P lending helps to fill gaps during liquidity crunches by providing a funding option to small businesses and consumers who need to borrow. A healthy economy means borrowers and lenders have choice in the marketplace and P2P lending offers borrowers and lenders more choice. The U.K. government became a lender by investing £20 million into British businesses via P2P lenders in 2012. The intention of this was to inject capital into the economy that would end up in the hands of small business owners. A second investment of £40 million was announced in 2014 with ongoing support for these platforms being provided both monetarily and legislatively with the most recent examples being tax-free shelters for P2P investors and mandatory referral programs for borrowers from banks. U.S. P2P platforms issued approximately $U.S. 5.5 billion in loans in 2014. Origination volumes have grown on average 84% per quarter since 2007. PWC's analysis indicated that the market could reach $150 billion or higher by 2015. In New Zealand, the financial markets authority, the regulatory body overseeing financial markets, has adopted separate and distinct regulations for P2P lending here. Without a national securities regulator or nationally adopted set of rules, relying on the existing equity crowdfunding regulations for P2P lending transactions is very much like trying to put a ‘square peg’ into a ‘round hole’. The National Crowdfunding Association of Canada (NCFA) urges governments and regulators to actively promote the growth and development of Canada’s nascent Peer-to-Peer (P2P) lending industry or risk being left behind other countries such as the U.S. and U.K. where P2P lending has developed into an essential element of their financial system. Dan Breznitz, the co-director of the innovation policy lab at the Munk School of Global Affairs, noted that when it comes to financial innovation in peer-to-peer lending, Canada is “11 Years late to the party”. 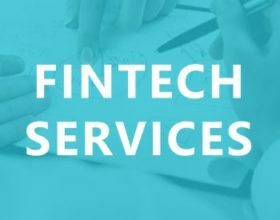 A recent report he co-authored (published November 2015) on the development of Toronto’s financial technology ecosystem specifically states that “our regulatory system, is now seen by many to be an obstacle in the context of the evolving Fintech ecosystem”. Further, many industry experts internationally have articulated the concern that Canada is vulnerable to a loss of control in our financial sector. 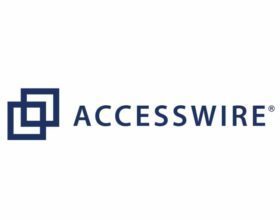 With the rapid expansion of international platforms such Lending Club, Prosper, Funding Circle, Harmoney and Lufax, there is concern that these industry powerhouses may come into the Canadian market and dominate segments of the financial industry. Recognize that the recently adopted start-up, integrated and offering memorandum exemptions aimed at widening participation among retail investors to invest in start-ups and SMEs need to be reviewed to ensure regulations allow P2P lending markets to form, and to recognize that P2P lending is a viable source of capital for small businesses and can be a good investment opportunity for both retail and institutional investors. Ensure that Canada remains competitive by enabling this highly-innovative sector of the economy to catch up to other jurisdictions, ranging from the United States and Great Britain to New Zealand where P2P lending markets provide new, vibrant competition to established financial industry participants. Adopt a ‘no harm’ or ‘innocent until proven guilty’ policy that would allow existing P2P lending platforms to operate AND innovate in ways that will better inform regulators of the appropriate policy and framework required to enable efficient market capital formation while protecting investors. For example, the regulatory sandbox program run by the FCA in the UK is incredibly forward thinking by a regulatory body that balances barriers, legal framework and safeguards while allowing the FCA to work alongside innovators to ensure more products can be tested for potential introduction to the market with the appropriate levels of consumer protection built in. Work together with the NCFA and its members to devise a quick-to-decision, proportionate regulatory framework that takes into account the organizational characteristics and unique business model of P2P lending stakeholders. In financial sector regulation, one size does not fit all. Ensure that P2P lending operators do not have to start from scratch with every securities and financial sector regulatory body in the country but that agreement with one entity suffice for all as is the case in Great Britain with the Financial Conduct Authority. Permit investors participating in P2P loan investments to place their holdings within their RRSP’s and TFSA’s and allow these investors to take on fractional loan ownership stakes. P2P lending in Canada is at an inflection point today with firms, lenders and borrowers all looking for clear signals from government and regulators that Canadians will finally also be able to fully participate in a global phenomenon that has seen an estimated U.S. $50 billion in loan originations since 2008 and U.S. $20.5 billion in 2015 alone. What's at stake? Otherwise, as borrower and investor demand pushes transaction volumes to established foreign P2P lenders and lending alternatives, the domestic Canadian industry is left trying to figure out how to build-grow a successful business without a competitive and clear regulatory framework.